The mission is simple - grow delicious, healthy, affordable produce that local families will love on their tables as much as we do. C.S.A. Programs go to DIRECTLY support our farm operation; keeping the farm viable. Sign Up Here or Research a bit more by reading down this page. Thanks! … Grow delicious, healthy, FRESH, NON - GMO produce that our local families will love on their tables as much as we do at our farm dinner table. 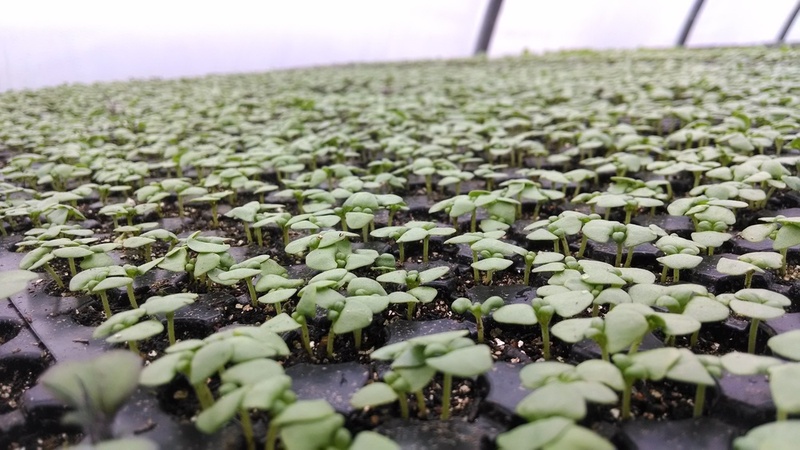 Grown and sold without the middleman whom takes a monetary chunk of what the farm should be getting to help with the costs of production and farm improvements. Meal Kits or Grocery Store produce can have high amounts of food miles associated with it. Food Miles are the miles in which foods travel to get to your table; higher the miles, higher the carbon foot print- global environmental impacts. C.S.A. Programs go to DIRECTLY supporting a farm operation; keeping the farm viable. Farming has all the regular business expenses like, insurances, capital investments, labor, shipping fees, utilities, excreta. Unfortunately, farms in most cases, have even more operating costs than most “regular businesses”. Cost of Goods (COGS) are frequently much higher or simply not applicable for other industries such as, equipment repairs, tractor fuel & oils, seeds, fertilizers, Mother Nature’s fury impacting yields (yes, these are not Made in China inventory items by far! ), extra long days working 7 days a week… it keeps going. HOWEVER! We love what we do, yet it isn’t as easy as “planting seeds and picking things” as the general public may think. We love to help educate on an agricultural basis to whomever is willing to listen to the plight of the American farm vs. what the public may think happens. 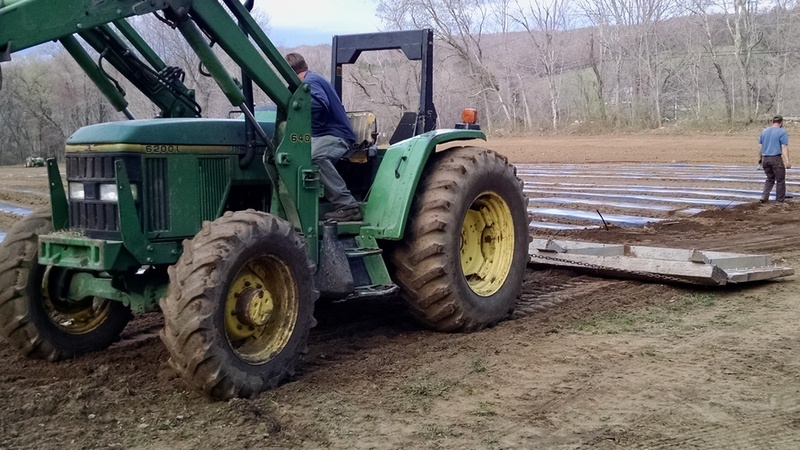 Our farm family has lived in Woodbury, CT since the early 70’s. Before moving here a large part of our family was dairy farming in Newtown, CT. When the 80’s came and land values and costs spiked it pressured our family to sell off the farm and move to New York & Vermont to continue farming; it was in their blood to continue farming. A small part of the family moved to Woodbury where we once again became “employees to regular 9-5 jobs" while raising 4 boys. There was something missing… In the late 80’s The Farm began in Woodbury, CT, leasing a base farm and land in north Woodbury. It’s been a roller coaster of physical, emotional, financial adventures over the past years, yet we farmed on somehow. Now that the four sons are a bit older (30-40-ish) the farm has grown a bit larger. We aren’t becoming larger to be the biggest. We are becoming bigger to survive financially for our growing families living in the town in which we love, Woodbury. Taxes, mortgages, salaries all need to be derived from the earth in the form of our agricultural crops. Over these past years we’ve hired many Agri- Science students from Nonnewaug High School, giving them a part of the hands on experience requested in their high school course. We also have been frequent donors to local Non- Profit Groups & Fundraisers; Lions Club, Firehouse, Food Bank, Educational, Health Groups, and even Locally based International Organizations. We believe in giving back when and where we can. However, our number one way of giving back is to continue growing FRESH produce for those in and around Woodbury to enjoy! Do you think when you eat something? We do all the time! We talk about it all the time. Where was this grown? Is this even in season here? Did the farmer get what they should for the product in front of us? Who was the farmer? Do they like what they do, can you tell by the quality of the product? How far did it travel to your plate? Who touched our foods? Is it really NON- GMO or a label someone paid for? Can we talk to them? How did they grow that? YUP! 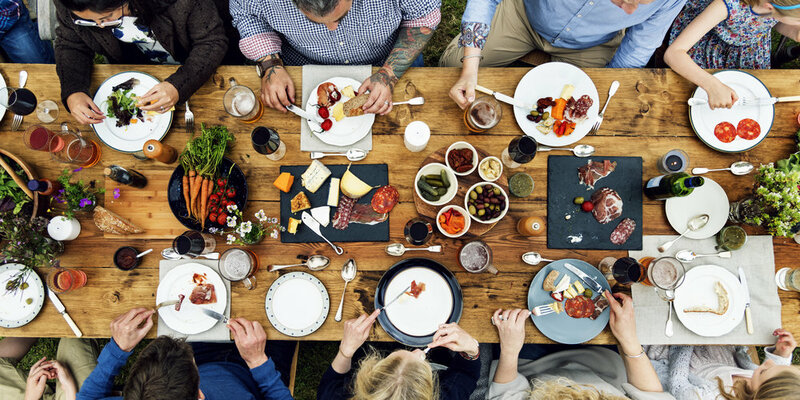 We ask a TON of food related questions at the dinner table (and our daughter even asks more than us)! We think you may want too as well. We all need to eat to stay healthy - nourishment for living well. Isn’t it important to know what we are putting in our bodies? We think so. “Back in my day”… an often heard phrase from our elders. “Back in my day… I went by horse and wagon to Waterbury to sell live chickens, milk, and produce.”, our beloved old farmer friend Tony, whom had farmed with his family where we farm today in Woodbury. Before he passed at the age of 97 he had left us with many terrific stories of the olden days over many coffee break stories. Seems to us now that much of how our food is produced, where, and why it’s grown has changed. These changes aren’t always for the good; but for money and convenience. We would love to bring back the fresh, local, family farm of yester-year with a 21st century twist of communication and improved agricultural knowledge. By joining a CSA YOU start that wheel rolling! Learn how to eat seasonally again, we are New Englander’s after all. Learn how to use things you might not thought of trying. Learn how things grow. Learn from other members and their experiences. Just learn about agriculture; the source for all of humanity to survive. How a CSA can help us all. A fun tutorial video on why to consider CSA and the steps for signing up. We appreciate your support on any level. For the individual or family that has a busy schedule and just wants what they want with no surprises in a CSA basket. Yet, still want to support our farm upfront and have the ease of one form of payment at our stands. Buy as much or as little as you like each week. The Harvest Card comes with an extra 10% value built in to any purchased amount; a thank you for your support upfront to help our farm run smoothly. Harvest Card members will only receive an email letting them know what we are picking for the stand each week, and any other special CSA events & promotions. Our App (released mid year 2018) is another great way to find recipes, what is on the stand etc.. This card can be purchased by any CSA member or vegetable stand customer. Purchase online or in-store. Your card will await you for pick-up at Woodbury Floral Designs, LLC - 15 Hollow Road - Woodbury CT. Cards will not be mailed. This size basket is a great way for couples, or a single individual to experience our CSA without feeling overwhelmed by large amounts of produce each week. In this share there will be many of the same items as the Farm Family Basket, just less quantities of each. We are designing this share to be an amount 1-2 can consume in a weeks’ time. Great variety of produce throughout the 16 week's. 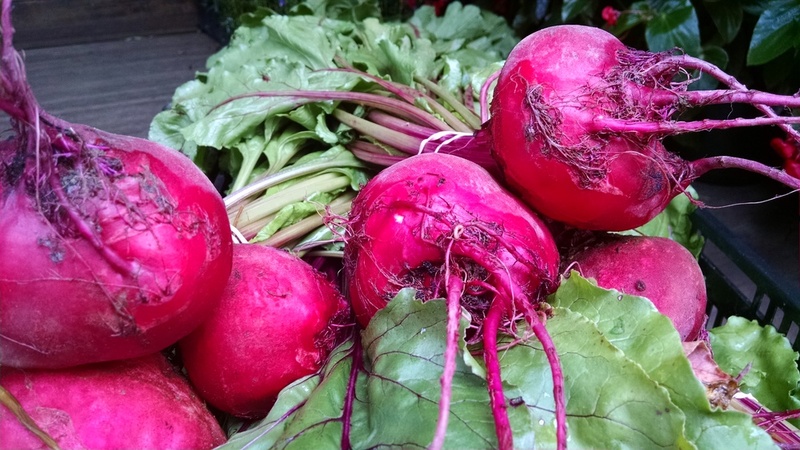 As the season goes, you'll experience the best of early, mid and late summer produce! Not sure how to prepare a vegetable? Ask us at pickup we are here to help! Perhaps you can not eat certain vegetables due to health concerns; use our swap table to switch for something that you can use instead. Same as above description, though with the addition of a Harvest Card. A harvest card is pre-loaded card with money that can be spent for additional vegetables, fruits, meats, and possible other products arriving in early 2019. This is a great option for those whom are unsure if the share for two will be enough for the veracious vegetable eater. The Harvest card cost is normally $100.00 for a $110.00 value (an instant 10% discount built in to the card upfront). We offer a slight discount with this bundle versus the share for two and purchase of a separate harvest card. If you have any questions about this please call our store or email us anytime. 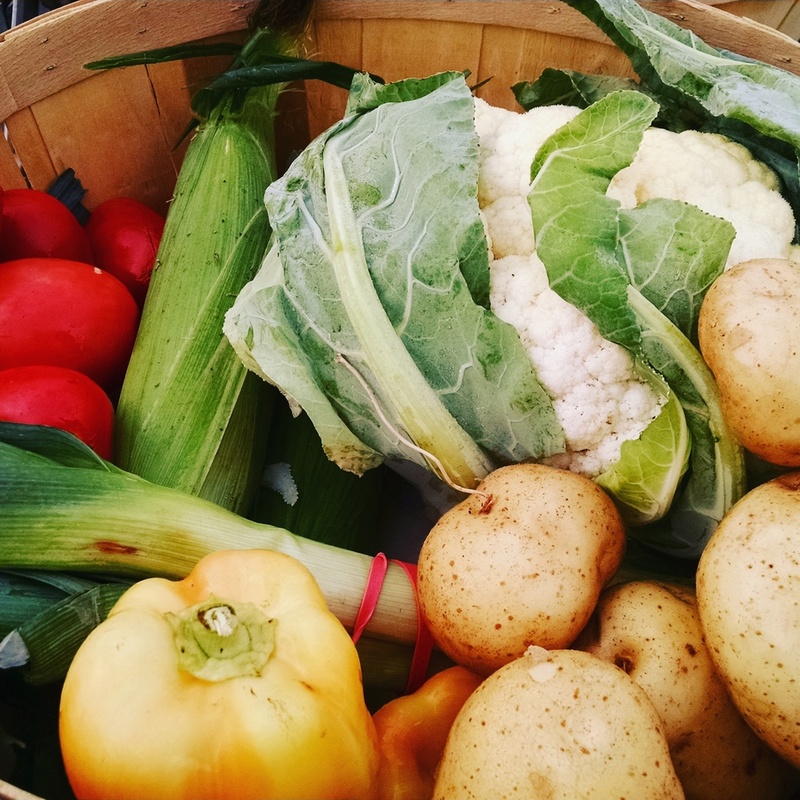 Ever wonder why we call it a "Farm Family Basket"? Well, it's because this is the size basket our family eats a week; designed around produce loving folks! This size is perfect for a couple whom loves produce at each meal; or a family of 4. A great way of introducing fresh, locally grown, vitamin packed vegetables and greens to your family! 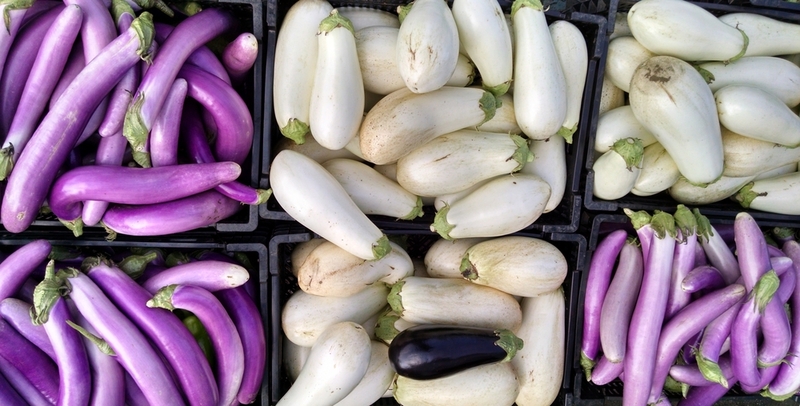 Our fresh picked vegetables will be provided to you at the pickup location. Recipes, helpful tips, and The Farm News will also be provided to you via an email newsletter each week of the CSA (Be sure to look out for emails from us to keep up to date). Produce for 26 week’s; our full season share option combines the summer and the fall-winter program into one simple purchase with a slight discount included. This share combines a “basket for two” & a fall-winter basket, totaling 26 week’s of produce. Note: the add on’s can still be added, however they will only run for the summer program. Egg and Meat add-on’s for winter shares will need to be added at the beginning of the fall-winter CSA. This basket is a special woven two handle basket. The basket must be returned weekly for refill. Seasonal fruits; locally sourced directly - farmer to farmer. Cut flowers grown at our farm freshly picked each week for you. Choose from dozen or 1/2 dozen to be picked up with your CSA basket weekly. 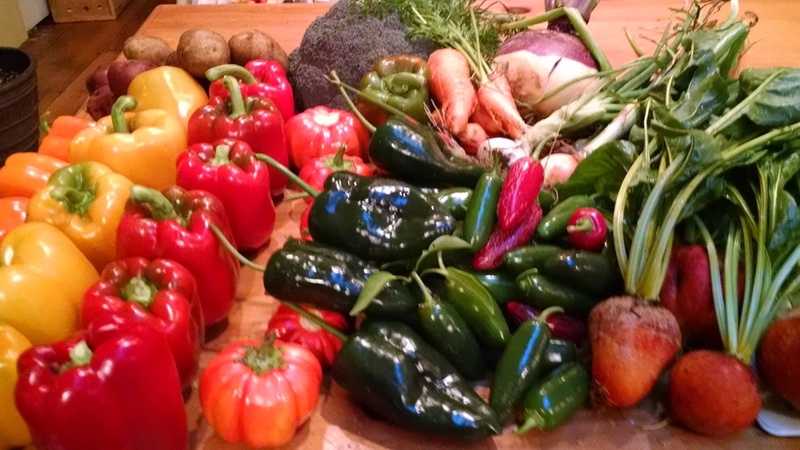 Every week of our Winter CSA will be a bit different from week to week, what surprises await! "With all these fantastic crops this Winter doesn't mean you have to let the fun of our Summer CSA end!" 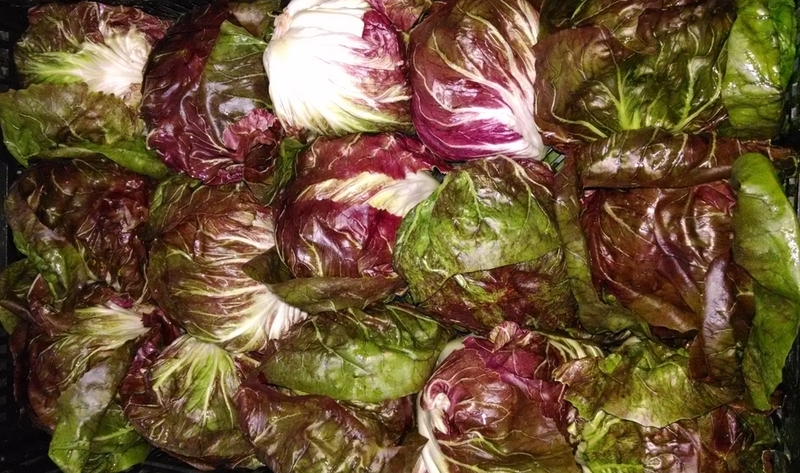 Visit our Winter CSA website page. Thank you for your time and interest in our farm, family, and planet. 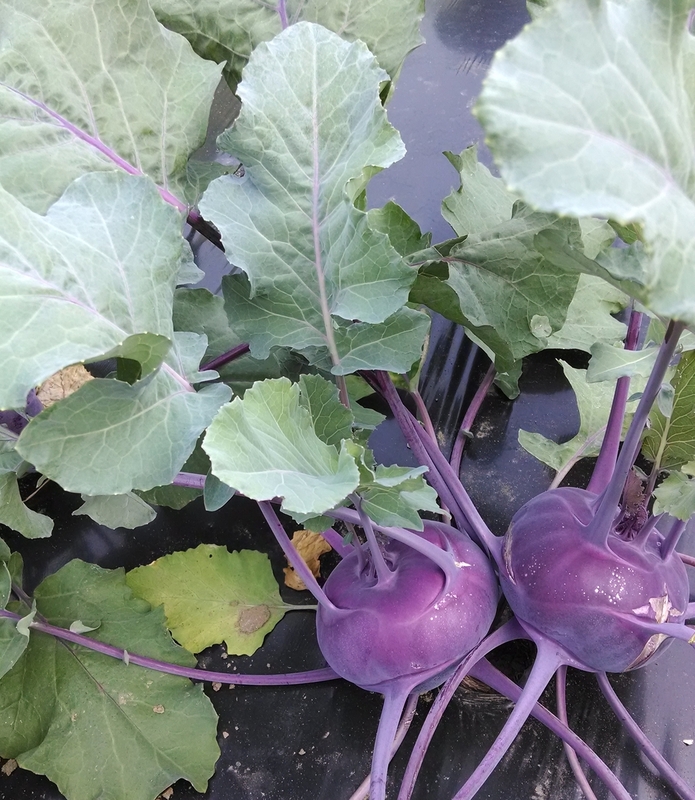 These photos show just a few of the huge variety of vegetables we grow here in Woodbury. Some are early season, mid and late. Our vegetables are all non-gmo varieties, some are also heirloom, and heritage varieties. To see a larger list click here. 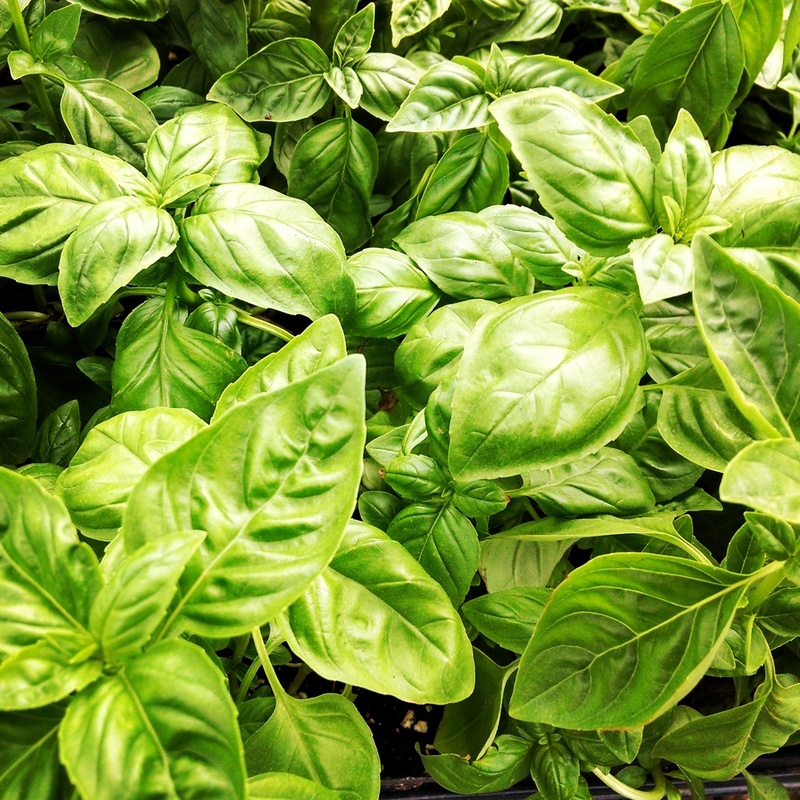 We take great pride in growing and providing super-fresh vitamin packed foods to our community. 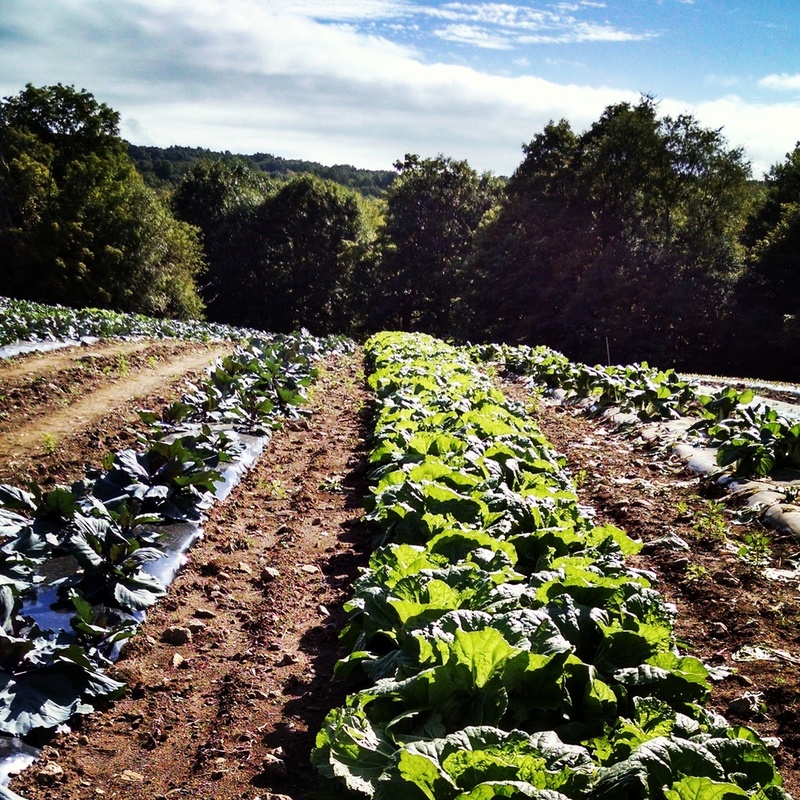 Learn a bit more about The Farm, Woodbury CT through this brief video. Eating seasonally grown fruits and vegetables, know where and who grew the foods you are consuming. Supporting your local economy directly to boot! Community Supported Agriculture (CSA) is a unique relationship of mutual support and commitment between a farm and community members for an entire growing season. CSA members purchase a share for the growing season before the harvest begins. The price of the share enables the farm to cover yearly costs, almost all of which are incurred before the crops are ready for harvest. This entitles the member to a share of the harvest thought out the season, grown and delivered by a farm they know and trust. Why should I Consider being a Member? As a CSA member you know where, when and how your food is being produced. A major factor missing in the supermarkets these days. As a CSA member you are actively participating in regional agriculture by directly supporting a small family farm, your community and eating seasonally, locally, sustainable & most important, healthy! There are so many great reasons to join and experience what others too are raving about. On the economic side of things, a CSA is a great value for the dollar put in. Since you are paying up front we like say that the vegetables are the dividends of putting money upfront. The funds raised during the CSA share selling time of year help off set the costs of raising these crops. Labor, Rent - Mortgage, Equipment Repairs - Purchase, Crop supplies, Fuel Oil for tractors, Nutrient soil improvement, and so on. These things mentioned didn't even touch the capital improvements required to be a 21st century farm. Being three young farmers, this CSA means a lot to us and our growing farm and families. We appreciate our CSA members and consider them extended family. As we say often, from our family to yours. The Farm, is located in north Woodbury. 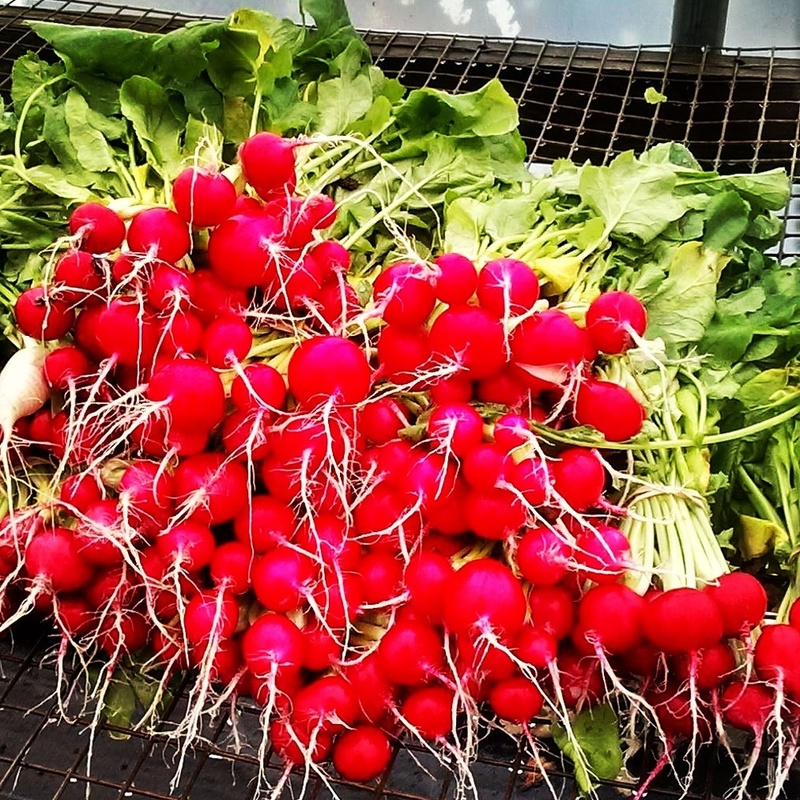 Our farm is roughly 180 acres made up of rolling hills, and flat fields of rich river bottom soils, ideal for vegetables.. We have been an active farm for over 28 years. We have been growing vegetables, hay crops, acres of sweet corn, and all sorts of pumpkins. For over 23 years. Most of our product has been shipped to grocery stores, restaurants, and wholesalers, as well as some farmers markets. We are now focusing on farm to customer based initiatives, i.e. farm stand, CSA, and direct restaurant use. We have greenhouses that we use to grow our vegetable transplants. We also use the greenhouses to grow many types of spring flowering plants which we sell to garden centers, landscapers, and various organizations plant sale fundraiser's. On our farm, we also have active bee hives, and in the spring we have a sugarbush for maple syrup production. The Farm, is a family run farm, all 6 family members partake in their areas of expertise, adding to the farm's diversity We also hire local high school agri- science students for summer employment and experience. What can I expect in a Weekly Share? As the season progresses so will the shares. Earlier weeks will contain more leafy green items. 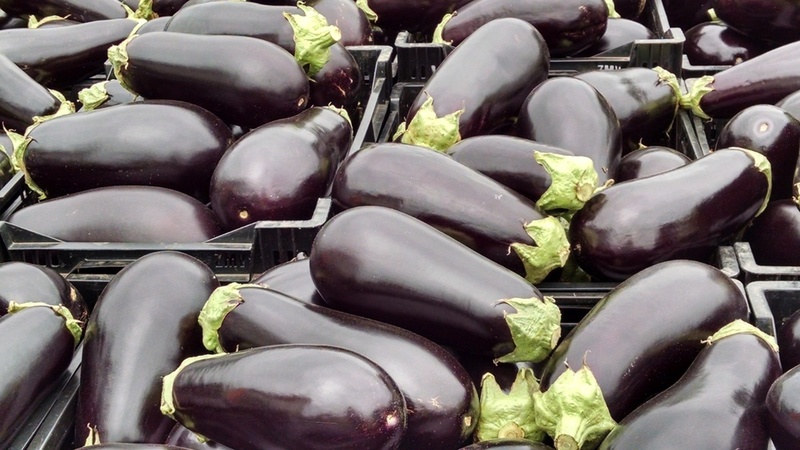 Mid-Season shares will contain longer day to ripen produce items, like various tomatoes, and eggplants. The late Season share will have more items of a long storage period. Garlic, onions, winter squashes. Every week for the past CSA years we have made a video titled "What's In This Week's Basket", these can be viewed to give a better idea of the quality, quantity, and type of items in the baskets. Access and subscribe to our YouTube Channel below. Which day should I chose to pick-up? Woodbury Floral Designs 15 Hollow Rd. The pick up day for your basket can be either a Tuesday, or Thursday the choice is totally up to you. Cooking during the week? ; perhaps Tuesday will work better. Thursday is a great pick-up day for weekend cooks; picnics & cook outs too! Either way, the produce is picked fresh and is totally tasty! Please choose your desired day of the week to pickup in the online store at purchase; this will remain your day throughout the CSA. Pickup location will be Woodbury Floral Designs, LLC. Located at 15 Hollow Road, Woodbury. Pickup time will begin at 1pm -6pm either Tuesday or Thursday, or Saturday (11am-3pm). June 11th-September 23rd. If the need arises, where you cannot pickup your basket (vacation, work schedule, sickness), let us know that someone else will be picking up your share and their name that week of so can save it for you, otherwise your basket/ CSA share will go to the Woodbury Food Bank 9am Friday morning. Any baskets left Friday 9am will be forfeited by shareholders, and turned over to the Woodbury Food Bank. If for any reason you cannot return the basket provided from the previous week, please plan on bringing something else to take your share home in, as we only have a limited amount of boxes each week to use. Recipes are provided on a weekly basis, via email our app available on ITunes & Google Play stores. Our YouTube channel also has many helpful tips, and information about how the crops are grown. We encourage agricultural awareness, as part as our CSA Shareholder Outreach. Enjoy 10% off anything at Woodbury Floral Designs LLC, as an active CSA member*. We appreciate your continued support! *deliveries not included. Be sure to open and read our weekly e-mail news letter. In each week's letter, there can be important instructions, or tips on improving your CSA experience. NEW! Try our App! Available on ITunes or Google Play.